Is Santa A Problem? Expanded. | Wir sind bettler. Hoc est verum. Is Santa A Problem? Expanded. 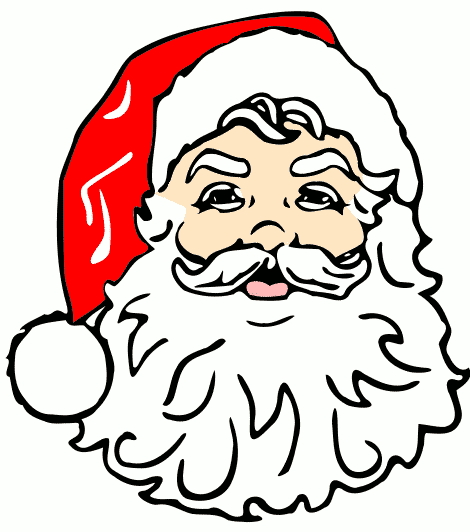 Many people believe in Santa, most of them are under the age of 10. They believe in Santa because their parents told them Santa is real. This cycle has continued for generations, the parent teaches the child, the child their children and so on. So, why would I dare tread on such holy ground? The reason I dare is because I believe the issue, although small, when compounded becomes quite large. As I see it the issue resolves around a few different planets of thought. Is it ok to lie to someone to increase their happiness? Everyone is doing it and turning out ok, why can’t I? What is the Christian parent’s number one job towards their children? And is culture neutral and its traditions harmless? Is it ok to lie to someone to increase their happiness? It seems to me with this question the burden of proof lies with those who say yes, not with those who say no. In other words we understand that lying is a sin, in every case, but we also understand the moral concept of lesser evil verses greater evil. Take the story of lying to Nazis to protect the life of hunted Jews. Many people take this to be an example where lying is morally acceptable and thus morally virtuous, I would take small exception with this. Lying is always wrong, however, if one must choose between lying or a greater evil, one is morally obligated to choose lying (the lesser evil), and thus in that case it can be considered the virtuous choice, however in and of itself it is never virtuous. Think of it this way: in heaven (when the world is right again) there will never be any lying ever, for any reason period. This is proof that lying in and of itself is evil, and a product of this fallen world. So as long as we live in this fallen world and have to choose between greater and lesser evils, we will have lying, and we will have to choose lying although we ought to lament doing it. Needless to say, I do not think one is justified in lying to one’s children (but to prevent a greater evil) and I am concerned about the philosophy one would teach one’s children when lying to them about Santa. Everyone is doing it and turning out ok, why can’t I? 1) Santa stands for reward through works. Children are taught that if they are good they will get presents. Jesus stands for rewards through grace. Believers are taught that even our good works are worthless, and it is through Christ alone that we are rewarded through grace. 2) Santa stands for grading on a curve. Children are taught that if they are bad they will not get any presents. But we all know that every child is bad, so how bad does one really have to be to not get presents? And what about children with poor parents who don’t get any presents, ought they to believe they were just really bad? Jesus teaches that all are so bad that no one deserves any good, yet God is temporarily good to the evil people, while being eternally good to his children. 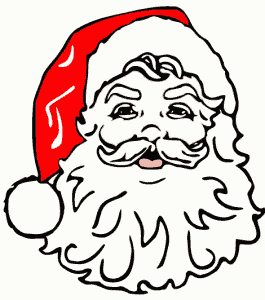 3) Santa stands for materialism and a reliance on ones desires not God. Children are taught to ask Santa for what they want not what they need. Jesus teaches us to rely on Him, not our desires, and that He will give us everything we need and more. There are more but these I think are the most important to consider. If these things are true which I just listed, it would seem that believing in Santa is a hinderance to ones sanctification not a supporter of it. I just don’t see how parents could combat the bad philosophy and doctrine taught by Santa without denying his existence. For one cannot hold that Santa is real and Jesus is real without holding some contradiction in beliefs. What is the Christian parent’s number one job towards their children? Deut. 6:7 “You shall teach them diligently to your children, and shall talk of them when you sit in your house, and when you walk by the way, and when you lie down, and when you rise.” I think Scripture is clear from these verses and others that a Christian parent’s number one concern is to raise their children in the knowledge of God and the Gospel so that they might have faith in Christ and follow him as joyful and grateful children. With this in mind parents need to consider everything they do, teach, and believe in light of their calling and Christ. Parents need to stop being lazy and not just do something because it was done to them or done by others, but because they have studied and thought about it, and it is the right thing to do. I know I will be a lazy parent at times and I will fail, but this must not stop me from attempting to raise my kids in the knowledge of the truth. So my question to parents is: “does raising your kids to believe in Santa help you fulfill your calling or hinder it”? I would argue hinder for the reasons above. The real question is what philosophy and doctrine are you teaching your children in Santa and does this bring them closer to the knowledge about God and the Gospel or farther? Of course we need to be-careful here and not make our children into monks. We aren’t called to hide our children from the world, but to educate them while they are in it. This doesn’t mean we aren’t to let them read books, or listen to music, or watch T.V. but it does mean we ought to teach them how to do so properly. I just do not know how one could justify teaching their children that Santa is real considering God’s call on their lives. To me there is a difference between outright lying to our children and teaching them to correctly enjoy fantasy. Is culture neutral and its traditions harmless? I think most of us know better than to say culture is harmless and neutral. But is our children educated in the truth or is our children educated by the culture? I think we need to be careful in everything we allow our children to participate in, even church. It is our job first and foremost to raise our children as God desires, no one else’s. So let us take it seriously and understand that there are many vain and harmful philosophies all around and within us that wish to drive us from Christ. We all deal with the desire to be justified by our works, to trust in someone else other than God for our happiness, and to basically sin against God at every turn. This battle within us, combined with the lies the culture wishes to teach us means we need to plead to Jesus for help and combat the lies within and without with the Truth of the Gospel from Scripture. When raising our children as God desires, Santa is just a small issue in the larger plan. I would encourage every parent when it comes to Christmas and anything else, to make the extra effort to make it about Christ and Him foremost before anything else. Decorate your house and tree for Christ’s sake, to celebrate him. Give presents because God has given us Christ. Receive presents because we have received mercy from God, and have good cheer because the repentant sinner’s sins are forgiven in Christ alone. Christ is the reason for the season, let us not forget that and let no lesser joy intrude in the Joy of Christ, His birth, the cross, His resurrection, and His glorification. This entry was posted in Culture, Life Philosophy, Philosophy on December 28, 2010 by coramdeo.